German sculptor and designer Ruth Vollmer (1903-1982) moved to New York in 1935 where she began designing window displays for department stores including Bonwit Teller, Tiffany’s and Lord & Taylor. Fabricated in a range of media including wood, metal, ceramic and acrylic plastic, Vollmer’s sculptural works from the 1960s and 1970s combine exacting craftsmanship and a fascination with mathematical theory. 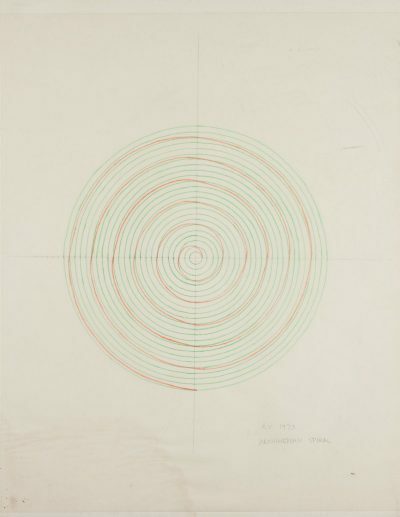 She exhibited frequently at the Betty Parsons Gallery, New York, and influenced younger American artists such as Eva Hesse, Donald Judd, and Sol LeWitt.